After deciding to hike the AT I was grossly aware that I needed to get in shape and start hiking. So… my sister and I planned several small backpacking trips. The first one was a little bit impulsive. For Christmas I received a hammock. I had never slept in a hammock before.Yet, I convinced myself that I wanted to hammock camp the AT. 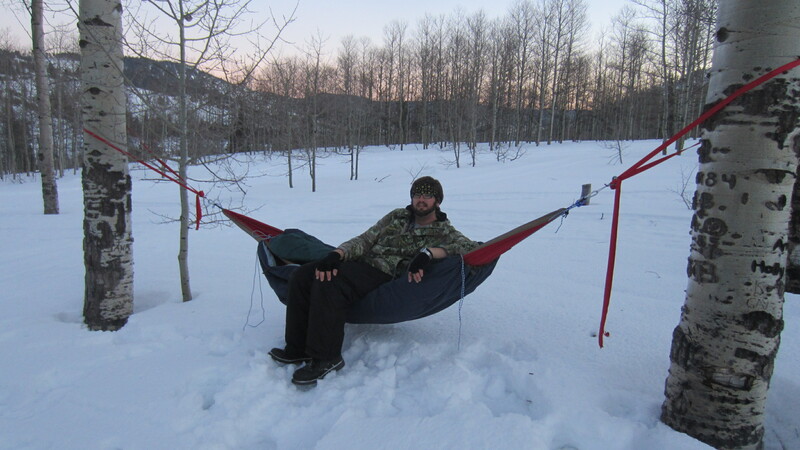 Therefore, I needed to be sure I could sleep in a hammock and stay warm in a hammock. So like a moron, I said “let’s go test it out in the mountains in January.” So we did. Not being a complete moron I took an old down comforter and fashioned an under quilt. For those of you that don’t know much about hammock camping. When your laying in a hammock you lose an enormous amount of body heat out of your back thus having insulation beneath you is a must especially in cold weather. So I packed my hammock, sleeping bag, and under quilt said “let’s do this.” My sister and I threw our stuff in the car and drove up to a local spot where people like to snowmobile and started hiking. It wasn’t a long hike, I was just determined to test my gear. It was a beautiful day. 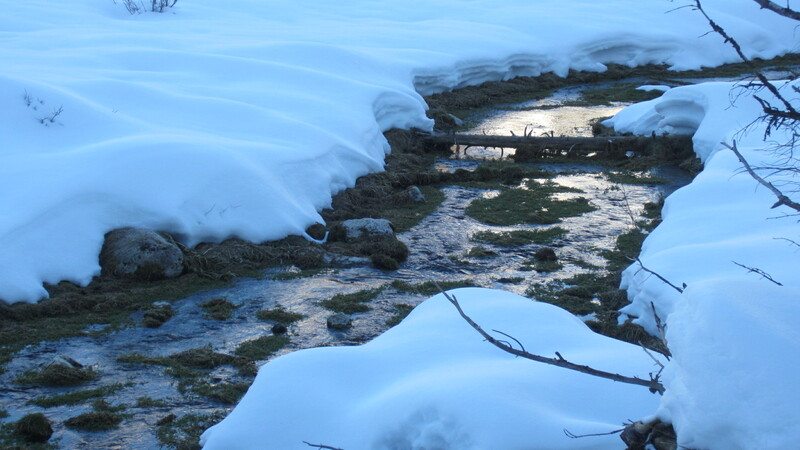 Hiking in winter titillates the mind. There are not many things more serene than an untainted mountain covered in snow. The trees glisten as the setting sun lights their branches. I love being out in the wilderness in moments like these. After a few miles we found a good spot to camp. I hung my hammock as the dusk began to fall. Ate myself a hot meal and prepared for the long night. Needless to say it might be one of the coldest nights I’ve endured. A nearby weathers station recorded temperatures of 10°F yet I survived! I wasn’t the most comfortable. But I survived none the less. We hiked out the next morning half frozen but in good spirits. I was able to check a few things off my list. 1. I can sleep in a hammock. 2. I can stay warm in a hammock if properly prepared. 3. The night sky in the cold of winter is mesmerizing. You can do all sorts of wonderful, hard, exciting things! Love ya!